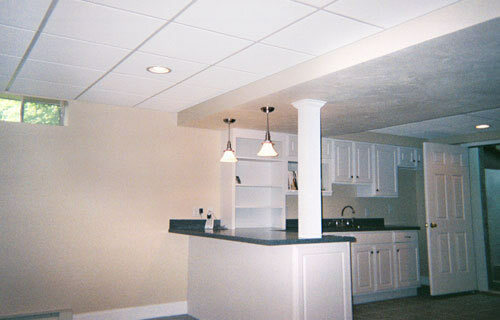 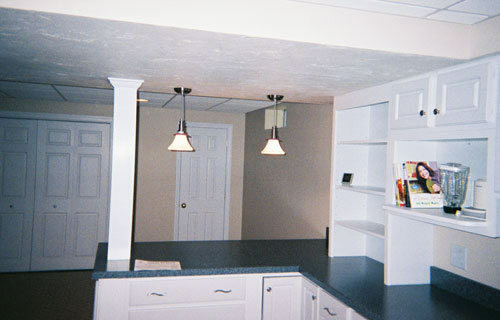 This basement remodel is in Metheun, Massachusetts. 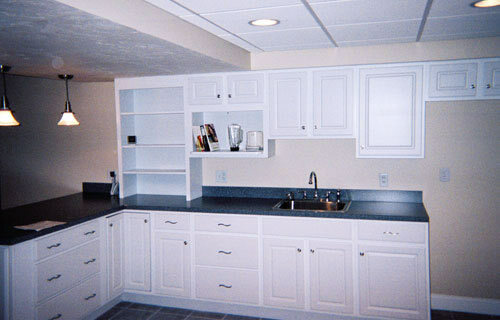 TPM built custom cabinetry for this basement project, installed the cabinets, and countertops, to give this basement a whole new purpose. 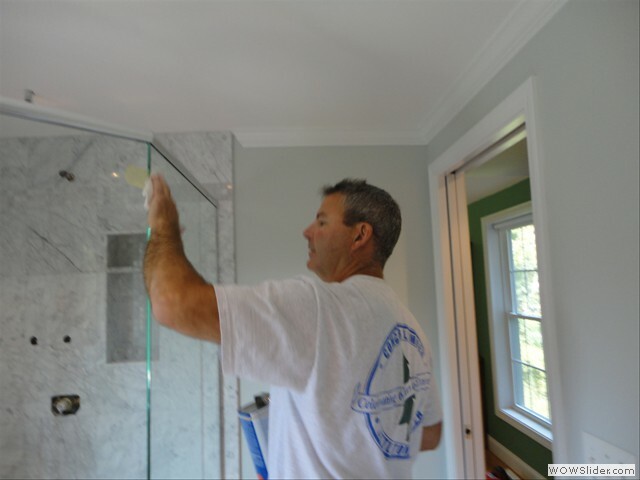 Construction, remodeling of kitchens & bathrooms, basements, renovations, carpentry, painting and more in Salem, NH, and Massachusetts, including Chelmsford, Andover, North Andover, Burlington, Bedford, Billerica, Wilmington, Tewksbury, Lexington & Concord.